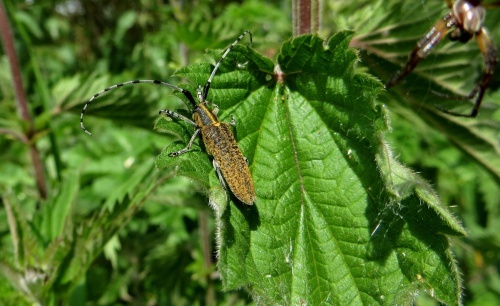 A large and very distinctive longhorn beetle with a golden iridescent bloom on the elytra and thorax. 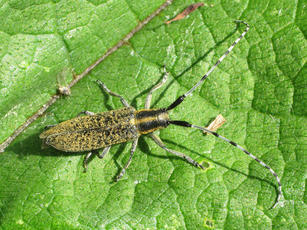 The antennae are also very distinctive with dark and light bands. The elytra are somewhat bristly with hairs. Length up to 20mm. Mainly found in moist meadows and hedgerows. 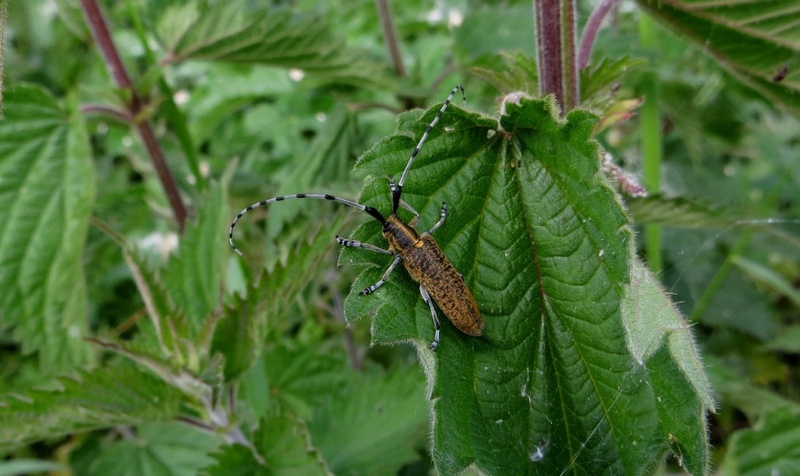 Adults feed on umbellifers such as Hogweed and Cow Parsley as well as on nettles. Peaking in May and June, rarely around to August. 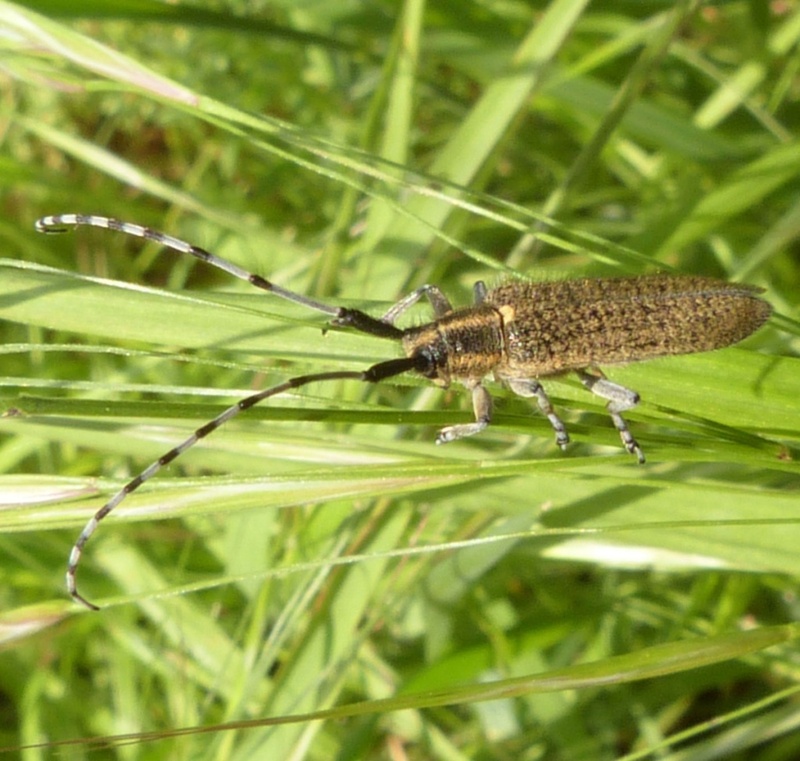 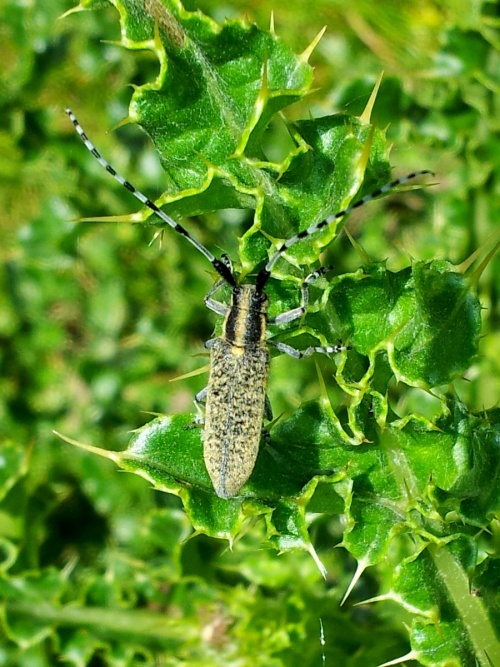 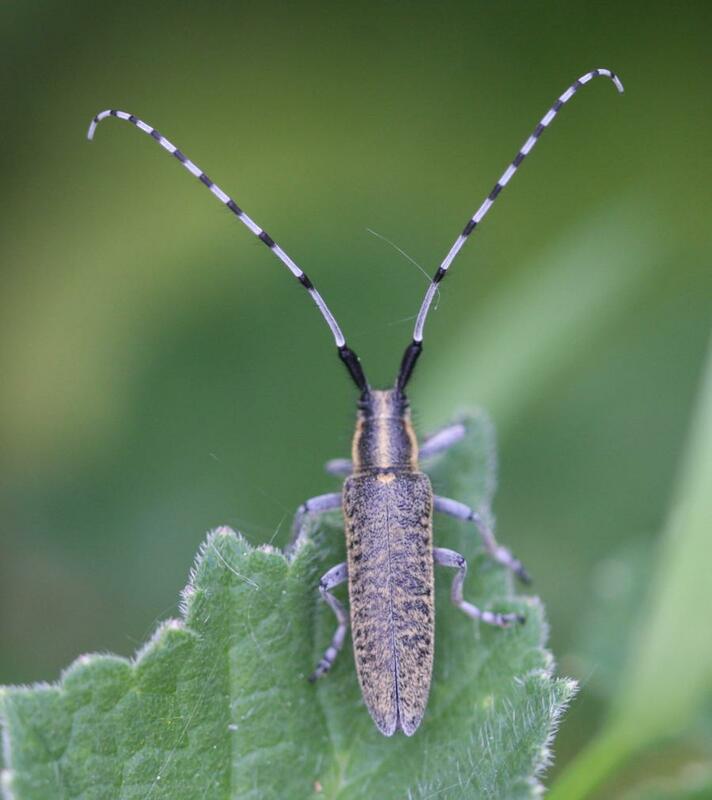 A stem borer that breeds in the stems of thistles and other herbaceous plants. 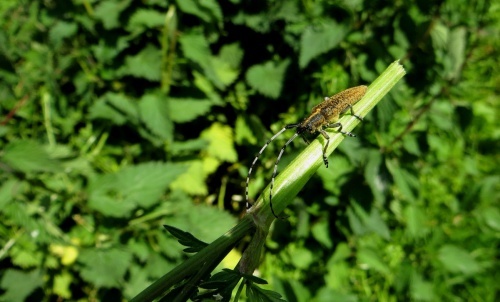 This beetle is fairly common in the south and east of England. 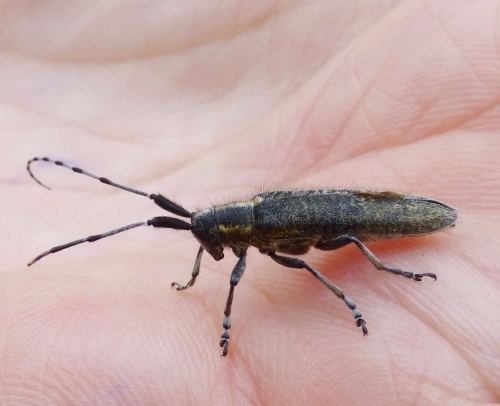 Occasional in Leicestershire and Rutland which would appear to be near the edge of its range. 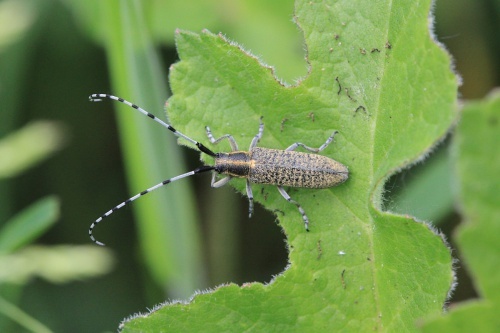 There were a total of 31 VC55 records for this species up to March 2015.